In today’s world, the need for big data, analytics, and overall quick and precise business decision making is a must. Equally important is having access to the necessary tools that help organizations make good decisions based on sound data, and analytics. One of those important tools are online platforms that offer various analytical solutions. However, there are so many choices to choose from that companies can suffer from analysis paralysis looking for the one that is comprehensive, focused, and meets the unique objectives companies are faced with. Have you been in that position? Signity Solutions provide dedicated Salesforce Consultation service for one of the most powerful, and recognizable brands in data analytics, Salesforce Analytics Cloud. Here’s how you can use its features and benefits to take your business to the next level. Salesforce Analytics Cloud, also known as Wave, is a complete solution that is able to give you compelling insights about your data without hiring programmer’s, analyst, or querying your IT departments for every single request. Business owners of all sizes can benefit from Salesforce because all business owners need useful data to make good business decisions. 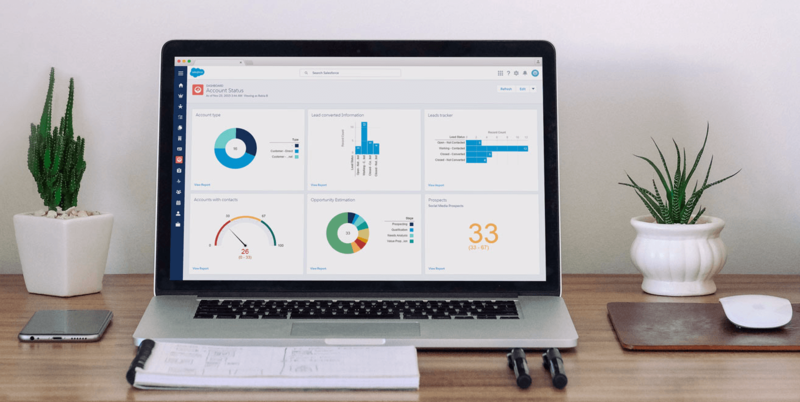 With Salesforce Customization, users can explore different simulations of the data they have to get the insights they need. These insights can be shared easily across multiple platforms from multiple devices quickly. Benefit your Business with Salesforce Wave from certified consultants at no additional cost. How Salesforce Wave Helps Users? If you’re an analyst, Wave allows you to create and deliver discerning information with your team and share it with other colleagues from multiple devices. Administrators and IT professionals can also store information in Analytics Cloud to secure, manage, and access company data on a whole new level with collaboration being the key. Developers can also use this solution to create business apps for business needs. The platform allows developers to create the app, connect the app and deliver it quickly to the business user. Since Analytics Cloud was built to serve the needs of non-techy business users, the wave platform comes with a very user-friendly appearance. Given the power of this complete solution, it would only be right to integrate it with other products lines offered by the company. Users can create great reports using mobile phones, and tablets, and then send those reports using the soft social media platform through Salesforce development. What are your thoughts on using data and analytics? Some companies are confused and don’t know where to start. Other companies are interested but are confused about how to use online solutions. Our consultations are designed to get you started on the right path where data and analytics are concerned. If you are a sales company or organization looking to take your prospecting, marketing and customer insights to the next level using Salesforce Analytics Cloud, please contact us for more information about how we can help you use and benefit from this platform to accomplish your goals. Our consulting services are geared towards helping business owners define their needs and utilize this platform to create customized solutions to solve practical business problems. Contact Certified Salesforce Consultants Now! Thanks for sharing this kind or article with us. It’s very informative and useful too.